Discussion: Michael, Michael and Brian discuss more gadgets! Anticipation runs high for Apple's mystery tablet device (whenever it might appear), and curiosity abounds over Microsoft's dual-screen gadget (similar to the Nintendo DS but with 7" screens). 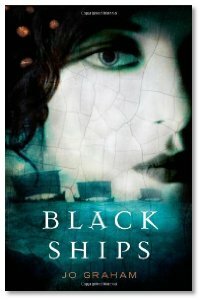 Listener Review: Web Genii brings us a review of Black Ships by Jo Graham, from Orbit Books. Discussion, continued: Sean lets the crew know about an electronic flight book, which is a color e-reader that pilots are using as in addition to containing their flight manuals, sectionals and maps. MRM is tickled that current technology is getting closer to Star Trek TV every year, especially when seeking out interesting ways to use the Skype App on the iTouch. The guys also touch on the broader availability and accessibility of books to readers and reviewers who aren't "professional" reviewers, and how the Internet is shifting how readers are looking for more content to read while waiting for the next volume of their favorite series, or just more books that feed the type of story they prefer to read. Great show as usual guys, just coming over to the website because "it needs some love". I am as excited as you are to see what Apple are going to reveal, and what that will mean for writers and readers.